Today many families are choosing cremation as an alternative to traditional burial; and there are several ways to create a lasting memorial for loved ones to visit. 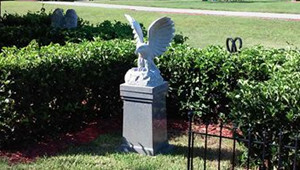 Moss Feaster in association with Memorial Park offers an extensive selection, including community columbaria, granite memorial benches, and pedestals that have been adapted to hold cremated remains. 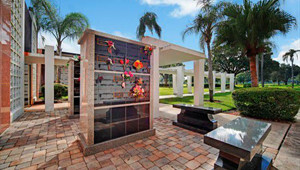 Throughout Memorial Park in various settings we offer families with unique family and community columbaria. 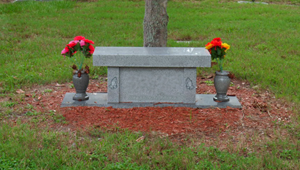 These granite monuments serve as a testament to your family’s enduring memory. Memorial Park cremation garden is an area designed especially to protect and memorialize cremated remains. This development offers many cremation options including pedestals, ossuary, benches, niches and cremorials. Memorial Park also offers a wide array of pedestal memorials. Whether you’d like a butterfly in granite, or a water fountain, our advisers will help you create a memorial your family will be proud of for years to come. A beautiful and elegant way to personalize your family’s place of rest. Multiple loved ones may be placed together in one of these custom benches, thus providing for future generations.